The 14th edition of the prestigious Green Gown Awards Ceremony gathered 87 finalist institutions in 12 different categories for an unforgettable evening on Thursday 8th November. Representing over 1 million students, 172,000 staff and a combined annual turnover of £15 billion, these institutions are proving their value to the economy and society. 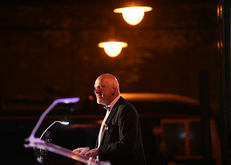 Organised by the EAUC, the Ceremony was held in the home of iconic locomotives and engineering brilliance, The National Railway Museum in York in conjunction with the University of York and York St John University. Showing institutions are not bound around a specific theme or size when it comes to exceptional initiatives, winners ranged from Stockport Continuing Education Service to Glasgow Kelvin College to the University of Edinburgh with projects as diverse as health and wellbeing opportunities for individuals in recovery from addiction dependency to food waste behaviour change to sea water greenhouses with global impact. 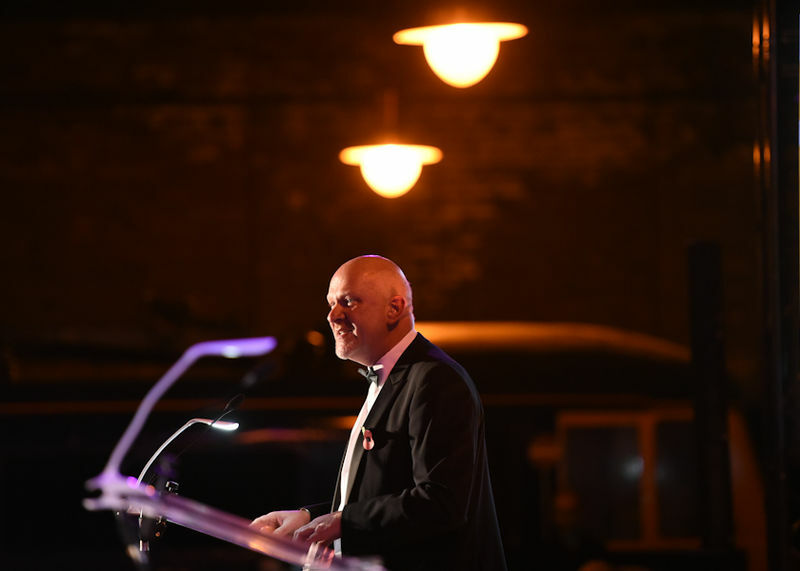 The Awards saw guests from institutions, companies and organisations across the UK and Ireland come to celebrate the educational initiatives, staff, and students helping address some of the most pressing global challenges. For the second year running, finalists mapped their entry against the United Nation’s 17 Sustainable Development Goals (SDGs), the most popular being ‘sustainable cities and communities’, ‘responsible consumption and production’ and ‘quality education’. "Winning two Green Gown Awards recognises and celebrates the fantastic sustainability work taking place within the UAL community. Our Sustainability Manifesto guides our focus through a holistic set of themes, increasing engagement with sustainability and catalysing progress within and beyond our institution." Iain Patton, CEO of the EAUC, co-hosted the ceremony alongside Helen Browning OBE, CEO of the Soil Association. This year’s winners were as varied as ever. The Student Engagement Award went to Glasgow Kelvin College for their White Ribbon campaign to tackle gender violence against women on a global scale empowering staff and students to raise awareness of this societal challenge. Meanwhile, Aston University scooped the Research with Impact Award for their thorough study that has led to the development of cooling and desalination technologies to create seawater greenhouses that are enabling food to be grown sustainably in arid world regions. 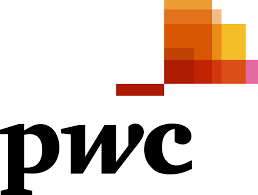 The Tomorrow’s Employees Award was claimed by University of Wales Trinity Saint David for their innovative approach to ensuring business graduates are equipped with skills and knowledge to become a part of the shaping of business thinking in the world for our next generations. 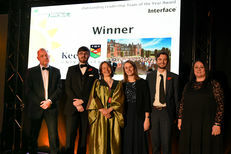 The Campus of the Future Award went to Newcastle University for the building-as-a-lab (BaaL) concept dedicated to innovative and interdisciplinary sustainability research which stands as an exemplar for a lower carbon age. The building features a heating system fed by heat pumps, grid-integrated energy storage, photovoltaic (PV) and PV-thermal arrays. The winners of Benefitting Society, Student Engagement and Sustainability Institution of the Year now go head to head with other global regional winners for the coveted International Green Gown Awards. Winners' Press Release available for download at the foot of the page.